Friday may be the most “looked forward to” day of the week. Add to that a little bit of chocolate and you might have some serious joy on your hands. At least, that’s how I felt about my Friday night. 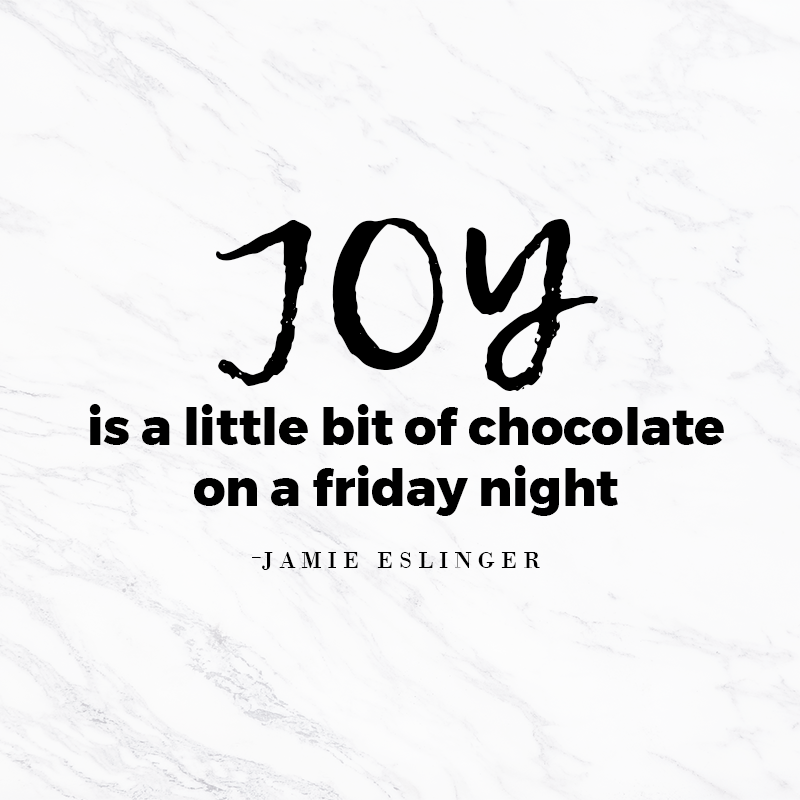 Joy should be as simple as adding a little bit of chocolate. And nothing is needed more than joy these days. I listened to Oprah’s Super Soul Conversation with Don Miguel Ruiz today. One comment he made caught my attention. It may take more than a little bit of chocolate to add a little bit of joy to our lives… but every bit counts.